Hiring a commercial contractor is an important decision for the future and growth of your company. This decision will set the tone for your entire project. No matter your business, taking time to consider your options and learn all you can about a commercial contractor will be nothing but beneficial. 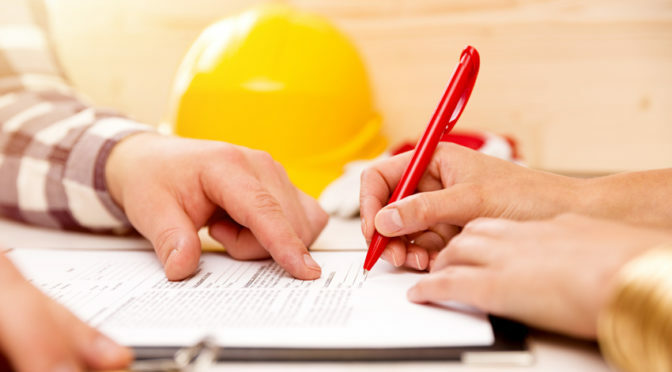 Read through these three things to consider before hiring a commercial contractor and then contact us to learn about our commercial construction services, industries we serve, and available financial resources. The first thing to consider before hiring a commercial contractor is how much experience the company has. A contractor’s body of work and length of time in business will help you determine if they’ll be the right fit for your project. Look into past projects and clients. Did they do a good job? Are the clients happy? Does the commercial contractor provide referrals or testimonials? What does a typical job look like for them? Are niche projects their specialty, or do they serve a variety of industries? The answers to these questions will help guide you to a commercial contractor that fits your company’s needs. Finding answers to these questions will help you know exactly what you’re looking for in a commercial construction project management team. Good communication is key to excelling at any type of project, especially before hiring a commercial contractor. Steady, efficient, and informative communication from the contractor will ensure the project gets done right – on time, on budget. Figure out your main point of contact before signing with a company. Make sure they are flexible enough to meet your communication needs. Do they respond in a timely manner? Will they be easily accessible throughout the project? Under the umbrella of communication, it’s also important to check that the commercial contractor’s bid includes all expenses. A bid should account for all costs. If there’s something important missing from the estimate, inform your commercial contractor so they can give you a revised bid. The third thing to consider before hiring a commercial contractor is safety and insurance coverage. Safety is the most important thing for any construction project. Review the contractor’s work practices and what they do on a day-to-day basis to ensure not only their employees’ safety, but the safety of your employees as well. In addition to everyday safety policies, your commercial contractor should have general liability and workers’ compensation insurance coverage. That way, you won’t be liable for any injury or damage that occurs while the commercial contractor is working on your project/property. For more information about what to consider before hiring a commercial contractor or for questions about our process or financial resources, contact Kinghorn Construction today. The construction industry is divided into two main categories – residential and commercial. While similar, these two industries have many differences, from types of materials used to cost variations. Here are the main differences between residential and commercial construction. The most obvious difference between commercial and residential construction projects is that one has a larger scope and difficulty. Residential buildings have smaller floor plans to accommodate simple living needs. More complex commercial buildings, the uses of which vary, require a sturdier frame and many times, more complicate design. Materials differ from project to project, but there is a distinct difference in materials used for residential and commercial construction. Residential construction relies on cost-effective materials suitable for smaller buildings. Housebuilders often use inexpensive yet sturdy timber frames for the structure of residential buildings. Larger and taller commercial buildings, however, require steel frames for a more resilient, sturdy structure. Residential and commercial construction projects involve two distinct types of clientele. Residential builders work for one client with specific demands regarding their personal choices for themselves and their family. Commercial building projects involve a team of stakeholders within an organization who most likely have laid out their goals and specific budget for the project. Costs for residential construction projects compared to commercial construction projects are very different – even if they’re comparatively sized. Many factors go into the cost of construction projects including material selection, compliance maintenance, employee skill, and labor expenses. Commercial construction buildings are bigger projects and run on a tight schedule; this is not always the case for residential projects. The difference in cost comes from those two factors. Experienced laborers working more hours and more expensive materials impact the budge of commercial projects. 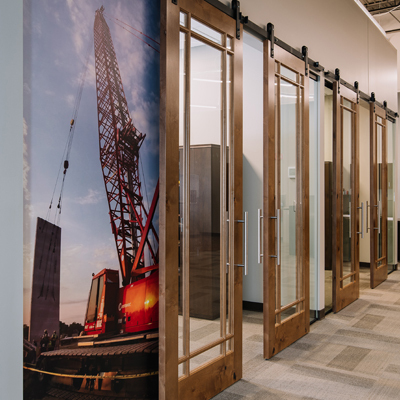 Kinghorn Construction strives to provide high quality design-build services and construction management for commercial buildings. Contact us today to learn how we can bring your commercial construction project to life. Choosing where to construct your building is the first and most important step in the commercial construction process. Your building location will directly impact many things during construction, as well as after the building is finished. Therefore, it’s imperative to take the following into consideration when choosing a construction site. Since area building codes can vary, it’s important to look into the local building code and make sure your project will fit within guidelines. On top of that, inspection and permit wait times vary depending on what the city or county. Work with an experienced design build firm that knows the area to assist with both verifying building codes and making sure you get an inspection and permit on time. Another factor you need to consider when choosing a construction site is how much it will cost to build there. The location can impact your budget if the land needs grading or excavation before construction can start. Whether water and sewer lines are already in place or not is also be a factor to consider. Consider costs of building materials and labor when creating a budget. Getting estimates on everything before you sign on the dotted line will help you complete your project within your budget. Inspecting the quality of the soil and the topography of a piece of land is an essential step when choosing a construction site. Moist or loose soil is a poor foundation for any type of building. Rocky and clay soils require specialized equipment to make them safe for construction. It’s important to know what type of soil you’re working with can influence the decision of where to break ground. Inspecting the surface features of the land is vital to determine not only if the location is fit for a construction site, but also if it will maintain its current condition depending on erosion risks. Make the future of your project bright by knowing exactly what type of natural landscape you’re working with. Lastly, it’s important to look into accessibility options for the construction site. Different sized vehicles carrying various materials and utilities need to get in and out of the construction site without any obstructions. Access to the site also needs to be safe and convenient so the job can get done in a timely manner. Cross site options that require creating accessibility off your list. For further information on choosing a construction site, or to learn more about our construction management process, contact us today. 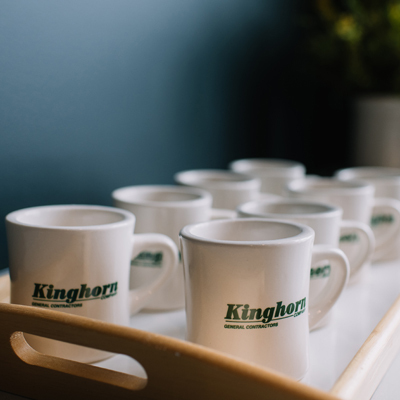 Not long ago, as the Kinghorn Construction business continued to grow, we recognized the need for larger, consolidated office and shop space. 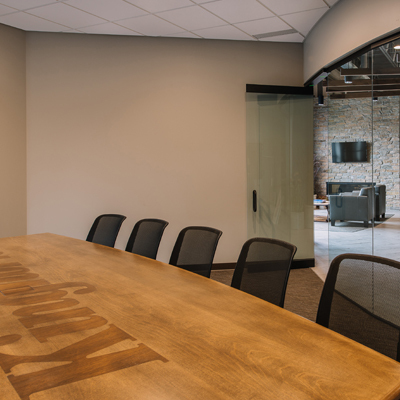 Like many of our clients, we needed a space that could both accommodate our day-to-day business needs and reflect who we are as a company. 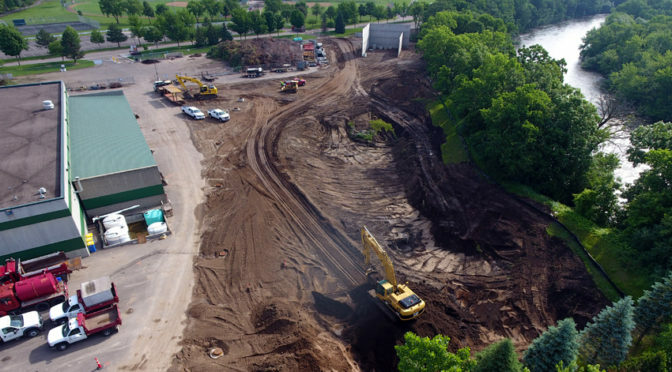 The search began for a new Kinghorn Construction location. Of course, with our history and connection to the town, we wanted to stay in Rogers. 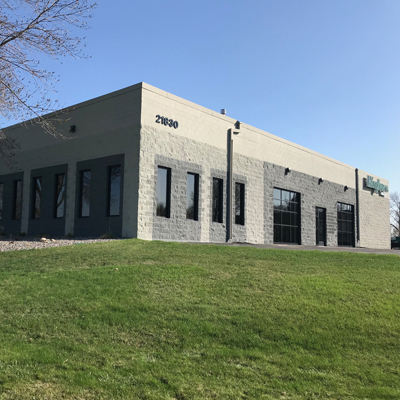 Our search led us to our current building on Industrial Court in Rogers, a building that we completely renovated to meet our needs. The new office features an open, welcoming atmosphere, spacious conference and meeting areas, and room to grow. We moved in the spring of 2015. We’re proud to showcase our capabilities to visitors and clients, and we hope that you’ll stop by to see for yourself. When the time comes for your business to remodel, renovate, or relocate, trust the commercial construction experts at Kinghorn Construction. We’ll work closely with you to determine the best options, whether you’re staying in your current space or need to move to a larger facility. Our vast knowledge, decades of commercial construction experience, and dedication to your ultimate satisfaction result in the highest quality work and the peace of mind you need. Learn more about our construction services, including design/build, pre-construction, construction management, and owners representation, and view our online photo gallery of recent remodeling projects for inspiration. Every business is unique, with different needs at different stages. Kinghorn Construction understands that. 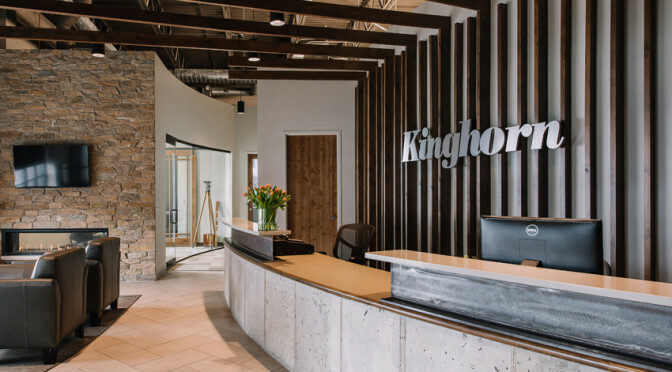 If you’ve reached the stage that requires you to update your office space or relocate the company to a new facility, contact the construction and remodeling professionals at Kinghorn Construction. Call 763.428.8088 to schedule an initial meeting today. Commercial construction projects of any size can present a wide range of challenges; most business owners will enlist the services of construction management professionals to set and maintain schedules, monitor budget and finances, ensure a safe work environment, and manage deliverables from all team members. Ultimately, the construction management team is responsible for time, cost, and quality. Management of job site activities for safety, timeliness, and quality control. Management of the change order process. Exploratory meetings during which we’ll discuss your overall vision, expectations, budget, and timeline. We’ll then put together a team of design and planning professionals to best meet your needs. Design charrette, an intensive planning session that brings your Kinghorn team of architects and specialists together to discuss functionality, design requirements, prioritization, and other important details. Following this meeting, we’ll create preliminary estimates and timelines and take care of any permitting requirements. Construction, during which our number one priority is thorough and timely communication. Your dedicated project manager keeps you up-to-date with regular meetings. During this time, we’ll address any necessary changes. Close-out, which involves a tour of the new facility once construction is completed, with a comprehensive review of mechanical and electrical systems. Post-construction support and management as needed. Contact the experienced construction management professionals at Kinghorn Construction today to learn how our services can benefit your project. Call 763.428.8088 to schedule an initial meeting today. When the time comes to select a commercial contractor for your project, how do you know which company to choose? Options in the Twin Cities and Upper Midwest – and even on a national level – seem endless. 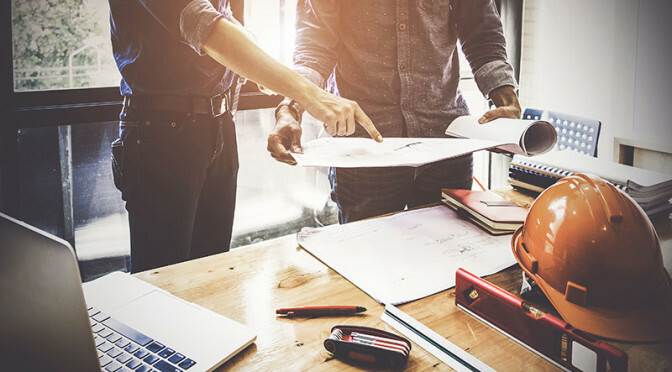 When determining the right company for the job, you’ll need to consider the size and scope of your project as well as the nature of the design/build and whether the company offers the proper capabilities to execute the work. But beyond the basics of services, cost, and logistics, you’ll want to work with an experienced partner who is committed to understanding your needs, your goals, and your business. 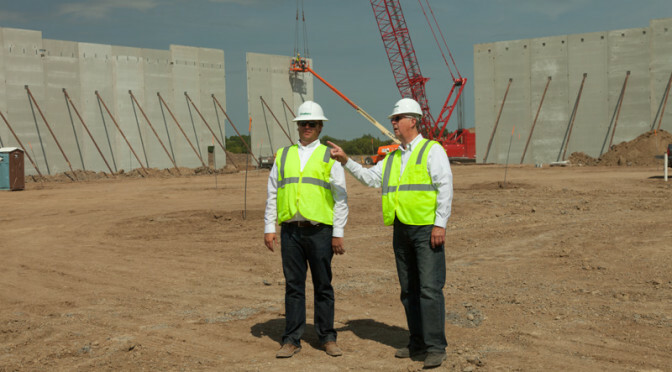 Family-owned Kinghorn Construction can be that partner. 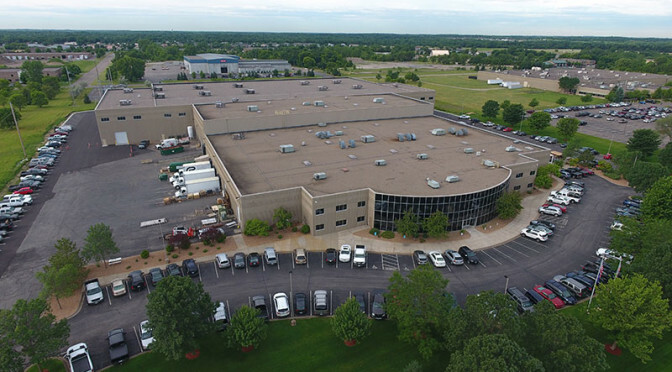 Throughout the decades, we’ve served a wide variety of industries, including industrial, retail, manufacturing, distribution, places of worship, multifamily housing, offices, educational facilities, and remodeling or specialty projects. At Kinghorn Construction, getting to know our clients is a top priority. We build trust and we build relationships. Clients return to us when it’s time to expand, remodel, or move to a new location, partly because of our longevity in the industry and our commitment to the highest quality service. Engagement in the community is important to our clients, and it’s important to us. We’re involved in industry and local community organizations, including the I-94 West Chamber of Commerce, where Grady Kinghorn serves on the Board of Directors. We show our support (and have a little fun!) by sponsoring non-profit events like the Rogers Lions’ Rockin’ Rogers Days. Grady was recognized at the Lions’ Citizen of the Year in 2015. Get to know Kinghorn Construction to see if we’re the right partner for your project. Contact us to learn more. Our brand new, fully-responsive site can be accessed through a variety of devices, including desktop, mobile and tablet. 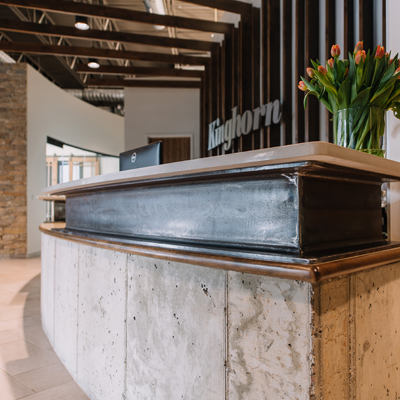 As the leading MN commercial contractor, we wanted to ensure that wherever you’re accessing Kinghorn Construction from, you’ll experience high-quality, cutting-edge pages and easy navigation. Our new Industries Served pages include a wide variety of industries including retail, office, educational facilities and more. Our busiest months are in full swing, stay up-to-date with our current projects on our new Featured Projects pages. More of a visual person? Our new industries served section links to a completed Project Gallery slideshows and images of various Kinghorn Construction projects. 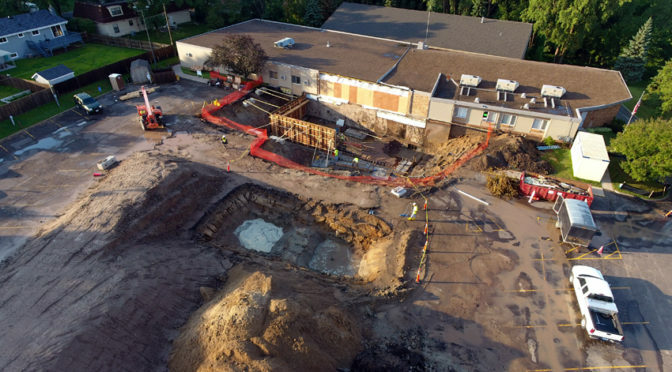 For over 35 years, we’ve served as a total resource MN commercial contractor for clients throughout the pre-construction, construction and post-construction processes and we are excited to showcase our new site. Please contact us with any questions on your upcoming commercial, industrial, or worship construction project. We look forward to doing business with you!